Contact Wright AC & Heating Co. 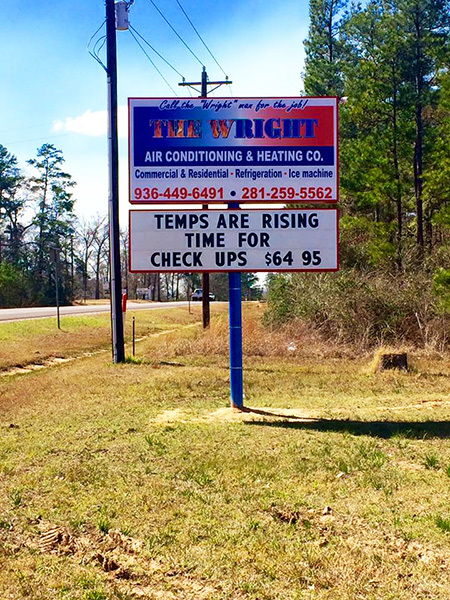 Contact Wright AC & Heating Co. in Magnolia, TX for all your HVAC service, repair and maintenance needs in the Montgomery County and the surrounding regions. From package unit service to zone system installations, we can handle it all! We will do everything to make sure that you receive the kind of service you expect from a reputable company like ours. Your work will be completed on time and within the scheduled time frame.